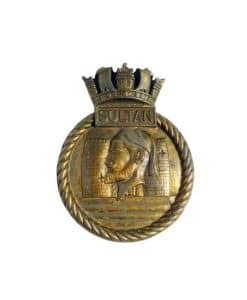 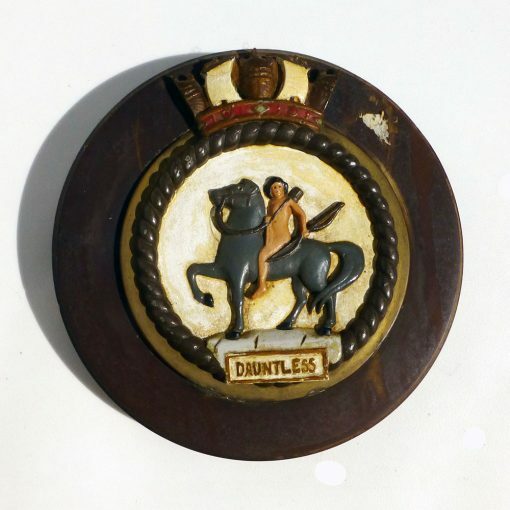 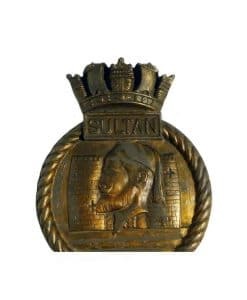 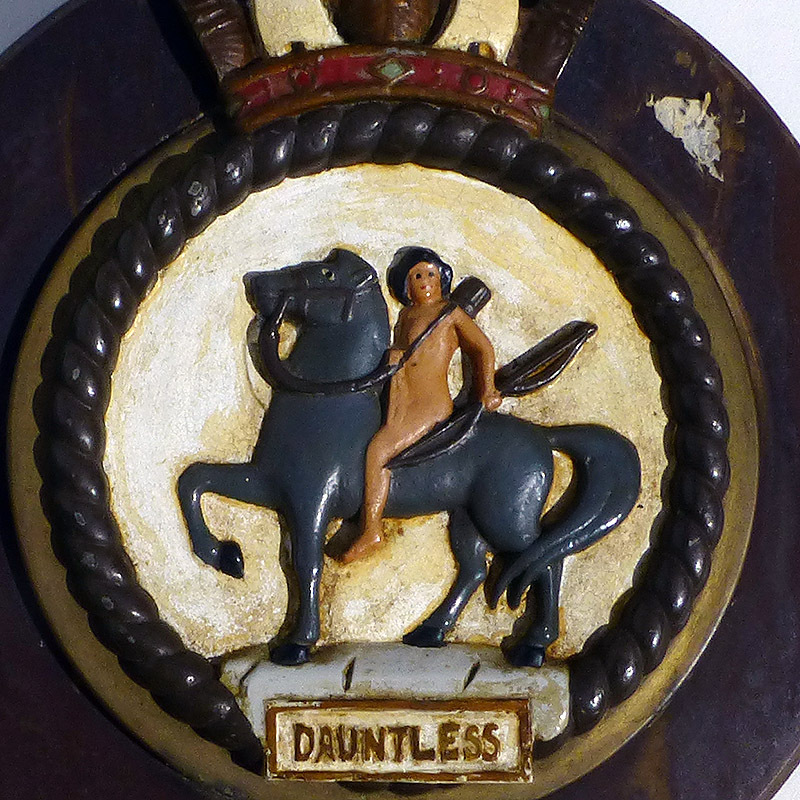 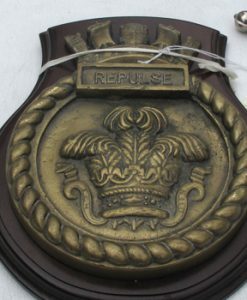 Hms Dauntless official ships badge from the Royal Navy. 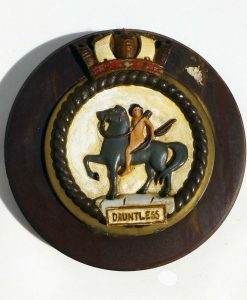 On 10 April 1918 the Danae-class light cruiser Dauntless was launched. 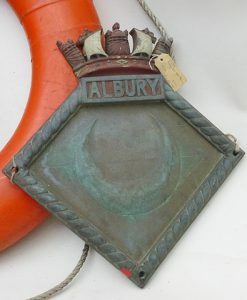 The cruiser won battle honors in 1939 while serving in the China Station and in 1941 transported £3,000,000 in bullion from Simonstown, Columbo to the United Kingdom. 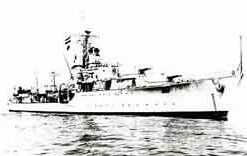 In 1942 the cruiser was involved in operations against the Vichy French Navy off Diego Suarez and Madagascar. 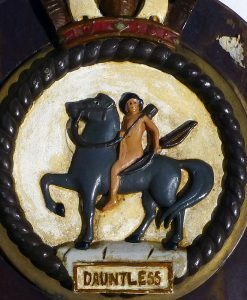 In 1945 the cruiser started three years as a training vessel at Chatham, England before being sold for breaking in 1947. 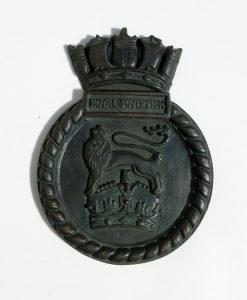 In 1935 the cruiser left the squadron for U.K. to be paid off into reserve. 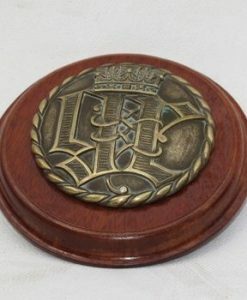 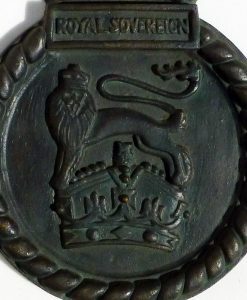 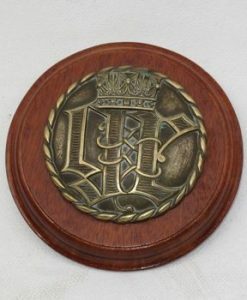 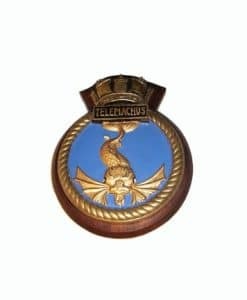 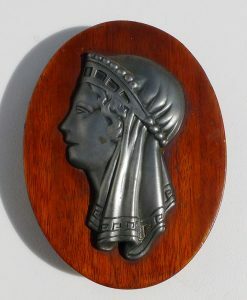 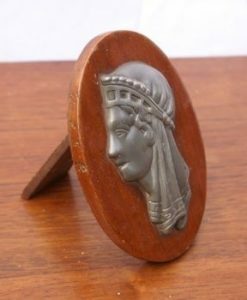 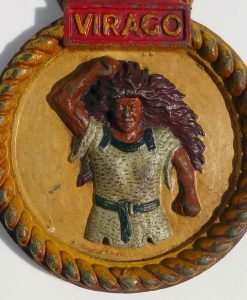 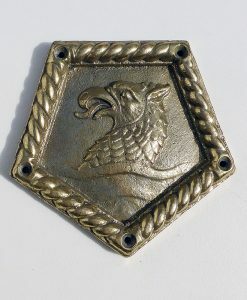 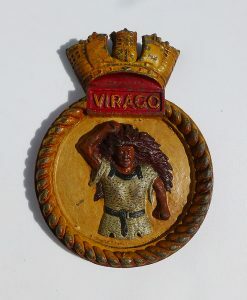 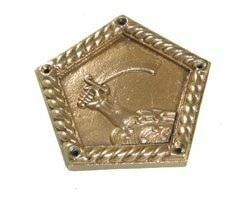 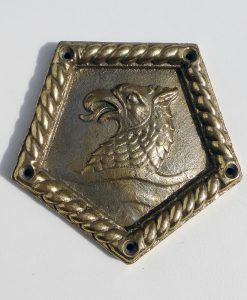 Send Enquiry for HMS Virago Ships Badge. 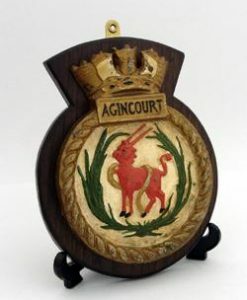 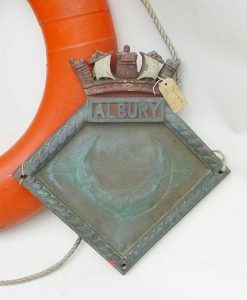 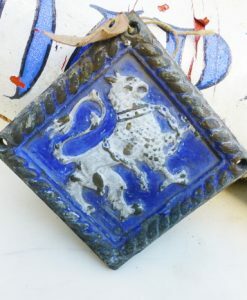 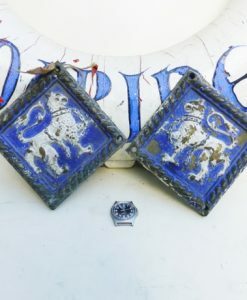 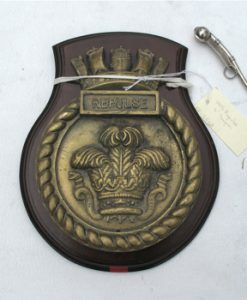 Send Enquiry for HMS Agincourt Ships Badge.